High-quality photos of NBA players on the field. Here, you can find photos of the team you love and photos of your favorite players. This amazing extension contains images of National Basketball Association players in the field. This is a great extension for all who love basketball or just love the NBA and their players. The National Basketball Association (NBA) is a men’s professional basketball league in North America; composed of 30 teams (29 in the United States and 1 in Canada). The NBA is an active member of USA Basketball (USAB),which is recognized by FIBA (also known as the International Basketball Federation) as the national governing body for basketball in the United States. The NBA is one of the four major professional sports leagues in the United States and Canada. NBA players are the world’s best paid athletes by average annual salary per player. It is widely considered to be the premier men’s professional basketball league in the world. The league was founded in New York City on June 6, 1946, as the Basketball Association of America (BAA). The league adopted the name National Basketball Association on August 3, 1949, after merging with the competing National Basketball League (NBL). Did you know that the shortest player and the tallest player in NBA history played once for the same team? Muggsy Bogues (5′ 3″) is the shortest person to play in the NBA. Muggsy was an amazing athlete and was famous for his steals. He was so small that in one of the plays, he even went through the legs of a player. He was an underrated shot-blocker. 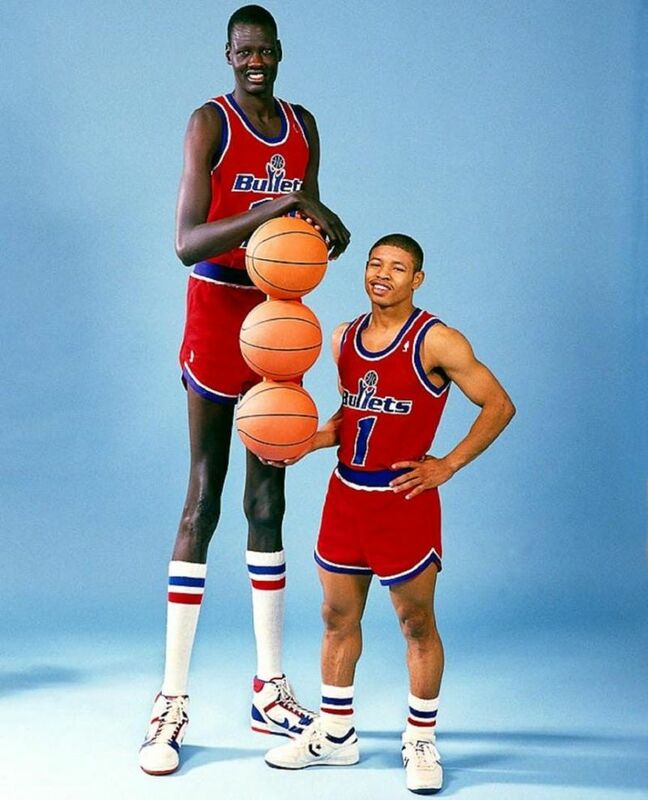 Manute Bol (7′ 7″), on the other hand, is the tallest person to play NBA. He was an amazing shot-blocker and rebounder. He was an underrated three-point shooter. In the 1987-1988 season, they both played for the same team in Washington Bullets.